Made for discreet vaping and always promising plenty of power, the Kanger K-Pin Mini AIO Vape Starter Kit is a great option for anyone wanting more simplicity without losing out on performance. Equipped with a blazing 1500 mAh battery along with a convenient single-button navigation, the K-Pin Mini AIO delivers a wide array of features, excellent vaping, and a truly modern experience from its compact structure. A 2ml capacity vape tank has been integrated into the design, and it comes ready to charge ahead with cloud production as a result of its SSOCC coils. One detail that adds to the incredible performance of the K-Pin is the telescoping mouthpiece which allows for secure and stealthy concealment when needed. As a top-filling design, refills are done fast and mess-free. Slender, compact, high-performance, and made for convenience, this is the device to have on you for all of your adventures. 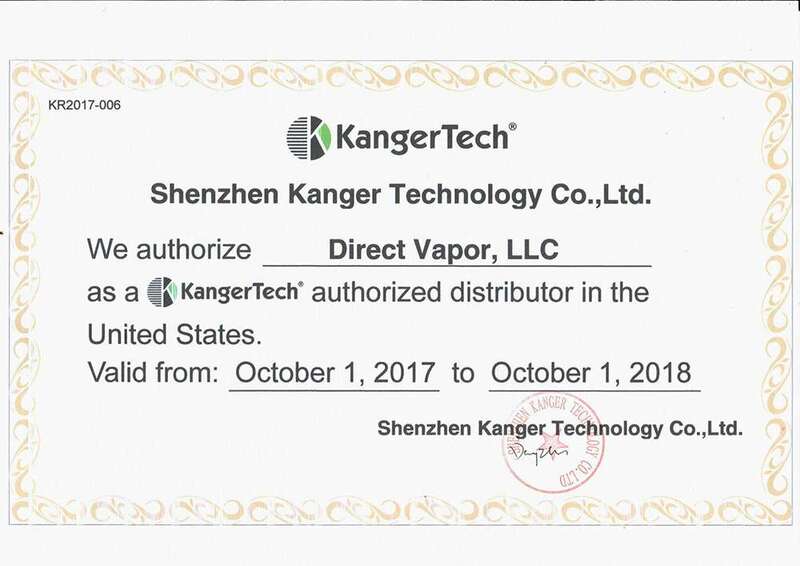 Get your Kanger K-Pin Mini AIO Vape Starter Kit now! WARNING: This is an advanced Item. Please use at your own risk and always use proper precautions and handling. Images are for illustration purposes only.